We went over the basics of roulette a few weeks ago. The original beginner’s guide to roulette touched on today’s topic: different kinds of roulette. There are multiple variations of roulette to enjoy. The game is thought to originate in France – hence the European and French versions – but as it made its way ‘across the pond’ to America, a new set of rules was created. Fast forward a few centuries and the technological innovations afforded by the Internet then took roulette in a whole new direction. Here’s a guide to some of the most popular forms of the game, and the differences between each. This is the most popular form of roulette on the continent, as the name suggests. European roulette is the classic version of the game, which dates back to the 18th century, with numbers 1-36 and the single zero pocket. You'll find European roulette available in the vast majority of both bricks-and-mortar and online casinos. As roulette made its way across the Atlantic Ocean a new pocket – the double zero – was added to the wheel, and American Roulette was born. This added double zero meant the amount of numbers in American roulette became 38, one more than its European counterpart. American roulette is the version of the game you'll find in most casinos in the US, however, even if you live outside of the USA, you'll still find American roulette in many online casinos. It's basically the same as European roulette apart from that one significant difference: the wheel has a single zero and a double zero. 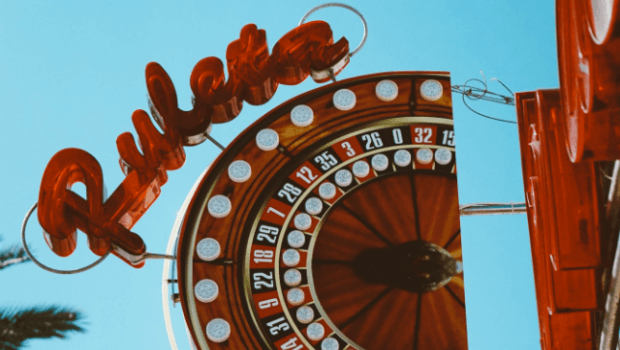 French roulette is very similar to the European version, although there's one key difference: in European Roulette, if the ball lands on zero and it doesn’t feature in your staking plan, your money is gone. However, in French roulette, there is the rule of La Partage. This dictates that if you have an even money bet and the ball lands in zero, half of your stake will be returned in consolation. Some versions of French roulette also incorporate the Prison rule. If you have an even money wager live and the ball lands on zero, you can decide to leave your bets on the table for another spin; thereby keeping them ‘in prison’, so to speak. The clue's in the name, and mini roulette does exactly what it says on the tin. The Mini Roulette board and wheel are scaled down versions of the traditional set up, and usually feature the numbers 1-12 (plus zero). Naturally, your odds of winning increase for many of the available wagers, and your payouts will decrease as a result. Quite the opposite of Mini Roulette, the Multi-Wheel variant really turns the excitement up to eleven. Here you can specify how many wheels you want in play – usually an amount between two and eight are available – and you place your bets across the wheels. It can, when your luck is in, result in some seriously handsome wins. One wheel, two balls: that’s the predictable premise behind Double-Ball roulette. Here two balls are in play, so you have more betting options at your disposal. You can wager that both balls will land on the same number, which brings a tidy return of 35/1. Or, you can go big and bet that both balls will land on a specified number – a long shot, granted, but one that pays a lucrative 1,200/1.